On first contact with Home Seakers we will endeavour to find out all your requirements of a new home and match you with the appropriate properties we have for rent. The next step which is essential is to view the properties which are of interest to you, appointments are available throughout the week and weekends on a pre booked basis. An application form will be available at the time of viewing from the staff member accompanying you. All adults who will be living in the property will need to be referenced at a cost of £100.00 each. All applicants will need to be in employment as very few Landlords will accept DSS but Child or Working Tax Credits and Retirement Pensions are acceptable with written documentation. Any Bad Debts or County Court Judgements must be disclosed before submitting any applications if not the referencing fee will not be returned when application is denied. Every applicant is referenced in three ways the first is a credit check then an employers and a previous Landlord this can take a week but sometimes due to holidays etc it could take a little longer. Soon as the references are complete we discuss your application with the Landlord and it is their final decision weather to go ahead. We will discus the final decision with you in full but if no alternative answer is found the fee is not refundable. Payment is accepted in Cash, Bankers Draft or Transfer. An appointment is required to sign the agreement and at the same time make the payment, all applicants must attend this appointment. At this time a standing order will be set up for the monthly rental payment. Agreements are firstly on a 6 month basis if this term is conducted satisfactorily to all parties then a new 6 or 12 month agreement may be offered at a cost £75.00. A time to meet you at the property will have been made well in advance in order to check you into your new home. We will take all Meter readings and report them to the relevant suppliers and to the council for tax. We will look over the property with you and sign any inventory to the satisfaction of yourself and the Landlord. This is the agreed condition you will return the property to the Landlord when you vacate allowing fair wear and tear to an extent. 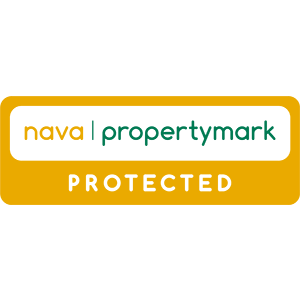 Non Managed or Let Only properties will be looked after by the Landlord. All inspections will be made by appointment only. As this property is your new home we expect you to look after it as if it was indeed your own. This includes any outside space be it a green garden or a small patio area. You are responsible for the insurance of all your own belongings and the payment of a TV licence. Also the connection of a telephone line but you must get the Landlords permission to install sky or cable. If you encounter any problems during your tenancy you must contact us if we Manage the property or the Landlord as soon as possible as any damage caused by delays on your part will be your responsibility to put right. We have a dedicated team of tried and trusted tradesmen who will attend the property as quickly as possible by appointment. Two months prior to the end of your agreement we will write to you asking if you intend to renew your agreement or you are to vacate on the end date. If you intend to vacate we need to inspect the property before the end date to discuss any remedial works that may need to be done. When we collect the keys from you we will again take the meter readings. It is your responsibility to stop your standing order any payments made after vacating will incur an administration charge.